A Huddle is a compilation of learning tools, or modules (videos, exercises, tests, plugins), designed to facilitate in-organization learning about a particular topic. 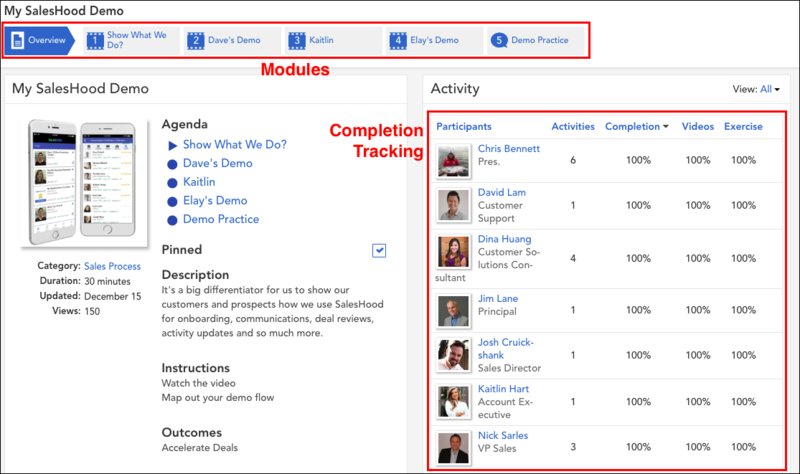 To learn how to create custom modules, visit Modules in a Huddle. Video modules allow you to record some coaching and training content for your team to view. Exercise modules allow you to ask your team engaging questions and start a dialogue. 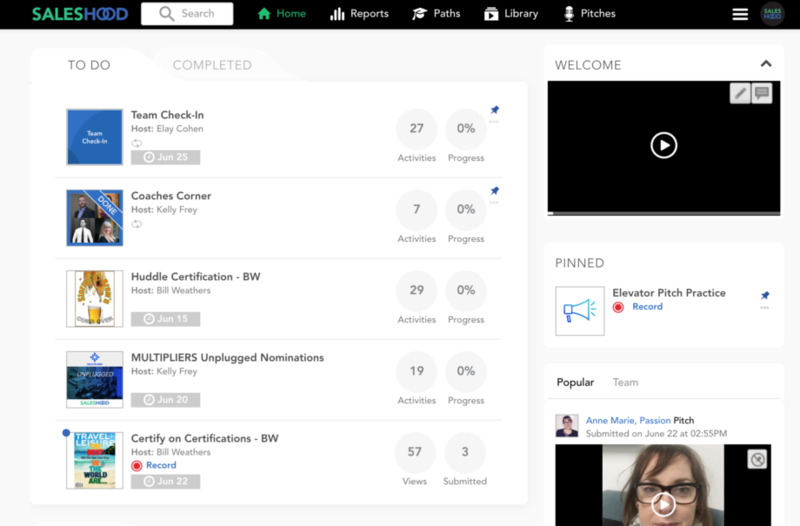 As your team responds, you and other team members can give comments to help your teammates improve their skills. Test modules allow you to make sure your team has digested and understood the content. 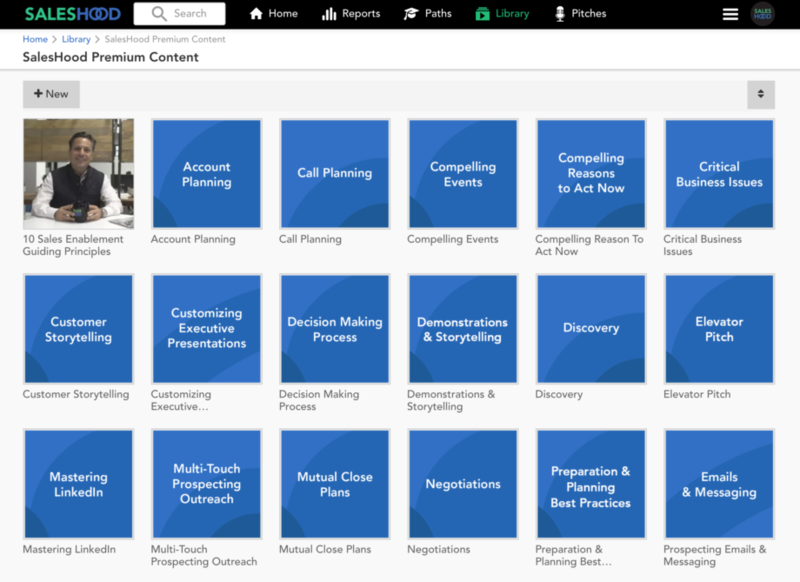 Huddles are located and accessible in a category (folder) within the SalesHood Library. It is also searchable through the search bar. The following is an example of Huddles within the “SalesHood Premium Content” category within the Library. If Huddles are assigned or scheduled to a group of participants, it will be displayed in the “To Do” tab of the participant’s and the host’s home page. Huddles provide a great opportunity to coach your team, distribute sales training, and sharing tribal knowledge. It can be used to track the participant’s completion. To learn how to create a huddle, visit Create a Huddle. There are two different types of huddles: Open and Scheduled. To learn more about the difference, please click here. What is the difference between an Open and a Scheduled Huddle?